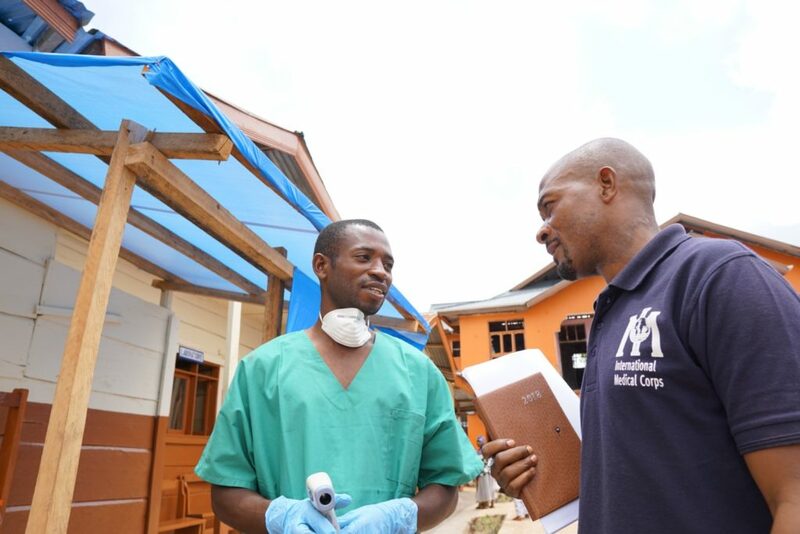 International Medical Corps is helping to respond to new cases of Ebola in the Democratic Republic of the Congo (DRC). Find out how you can help. In late July, an outbreak of Ebola in a northwest province of the DRC was officially declared over. Yet on August 1, new cases of the deadly virus were confirmed in North Kivu and Ituri provinces, on the eastern edge of the country, more than 1,500 miles from the earlier outbreak. The outbreak has since become the worst in the history of the DRC, with more than 549 cases confirmed and more than 326 lives claimed. One factor behind the difficulty in containing the outbreak has been an active and increasing conflict within the region, which has severely hampered the ability for health workers to reach affected communities. When they have been able to access the communities, health workers have often been met with resistance to vaccination, due to ignorance and persistent myths surrounding the virus. The CDC has recently warned that these factors, along with the rapid spread of the outbreak, could mean that the deadly virus may not be containable and instead could become entrenched in a country suffering from its tenth outbreak since 1976. Tom Inglesby, Director of the Johns Hopkins Center for Health Security, recently stated that if Ebola becomes endemic in areas of northeast DRC, “this will mean that we’ve lost the ability to trace contacts, stop transmission chains and contain the outbreak.” This could lead to an unpredictable spread of the deadly virus, with severe implications for travel and trade. Despite these challenges, International Medical Corps has been on the ground since the start of the outbreak, providing comprehensive support. 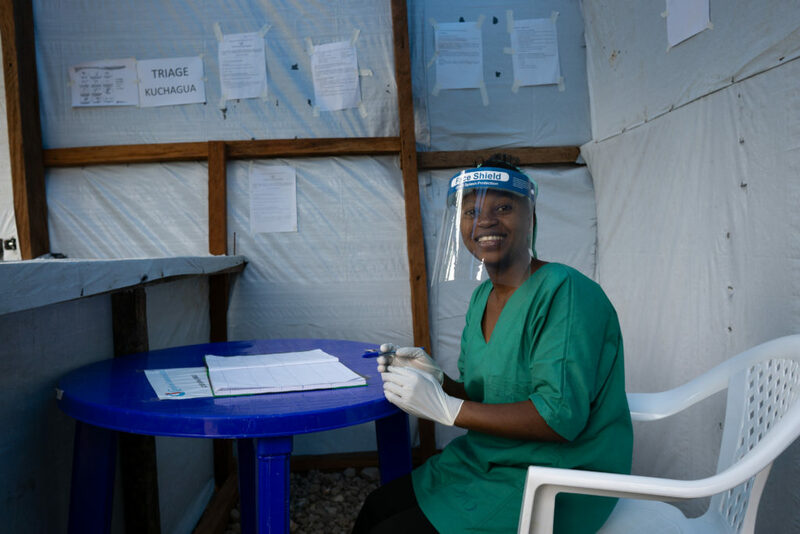 We’ve constructed 32 screening and referral units, and built capacity that has enabled health staff to screen more than 290,000 individuals entering health sites with no-touch temperature checks and rapid assessments for Ebola-like symptoms. We’re also passing on long-lasting skills by training staff of health centers, hospitals and health posts in Beni and Mangina about infection prevention and control (IPC). To date, we have trained 838 health staff in IPC, and have distributed essential IPC and hygiene supplies to facilities across the region—including handwashing stations, personal protective equipment, water basins, liquid soap and jerry cans—to ensure that trained staff have the resources they need to prevent the transmission of the disease. Our response to the outbreak is backed by our deep knowledge of the DRC, having worked there for more than 20 years. 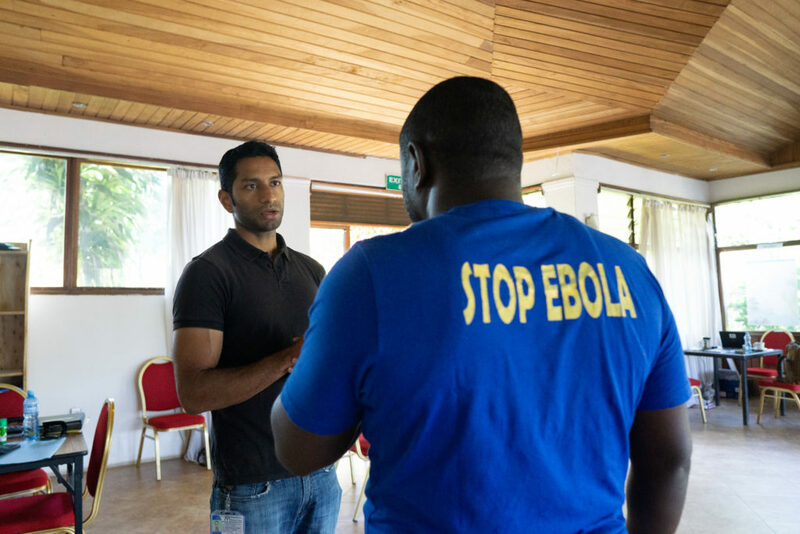 Despite the safety and security risks associated with responding to an Ebola outbreak in the midst of an active conflict, our experts will continue to work closely with the international community to battle the deadly disease. The needs are now greater than ever and we need your help to continue our lifesaving work in the DRC. Donate today and help us work toward containing this deadly Ebola outbreak.